Oh My Goodness, how good does this look?! I can totally imagine paying $15 for this an a trendy little cafe. There’s my little boast for the day. 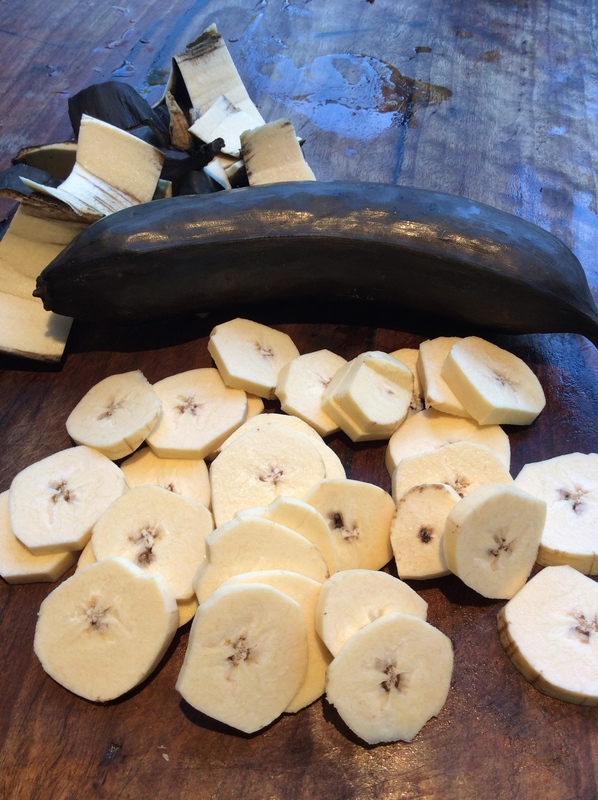 I have been seeing recipes on many of the blogs I follow using plantains (they are like large unripe bananas) and saw some the other day in a fruit shop so bought some and decided to give a couple of recipes a go. I have plantain chips in the dehydrator as we speak and made this fantastic pancake! 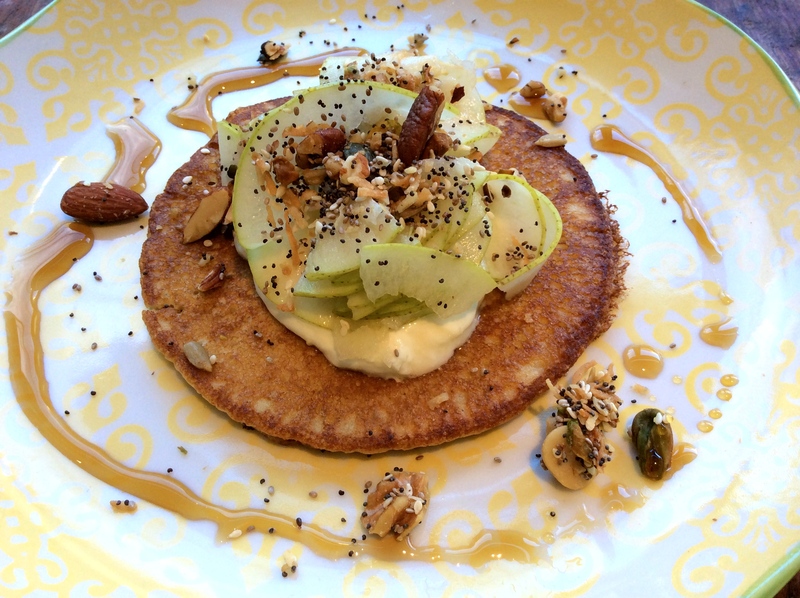 The pancake is light and fluffy and served with yoghurt, shaved pear and 11 seed & nut paleo muesli. So good with my morning coffee for brunch! The original recipe comes from www.thepaleomom.com. Blend all ingredients in high speed blender to make a batter. 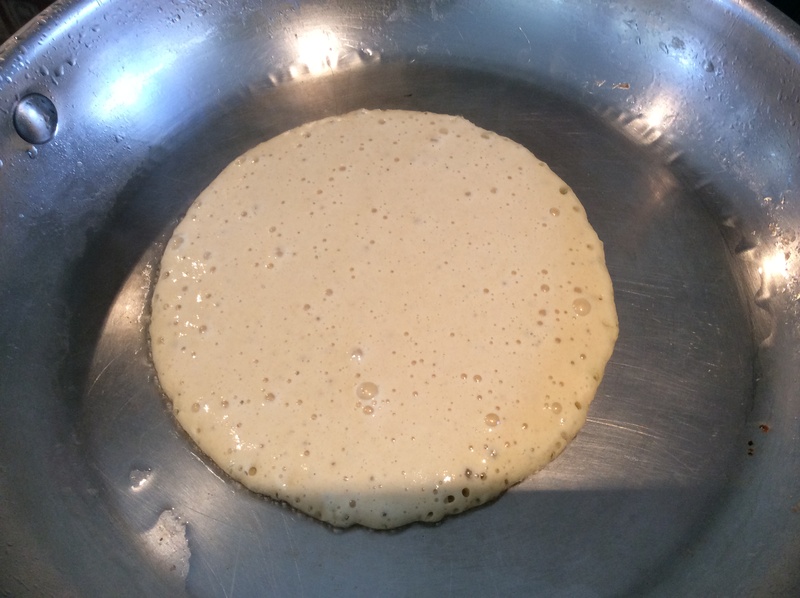 Fry in a frypan with a little coconut oil like you would a normal pancake. Serve with dollop of yoghurt, shaved pear and muesli. Wow these look fabulous! Yum! Thanks cloudthyme, I was pleasantly surprised! Sounds and looks amazing. Thank you for sharing. Thanks Tabitha. I made them again today with plantains that were almost yellow, not nearly as good! The black ones were great in this recipe.